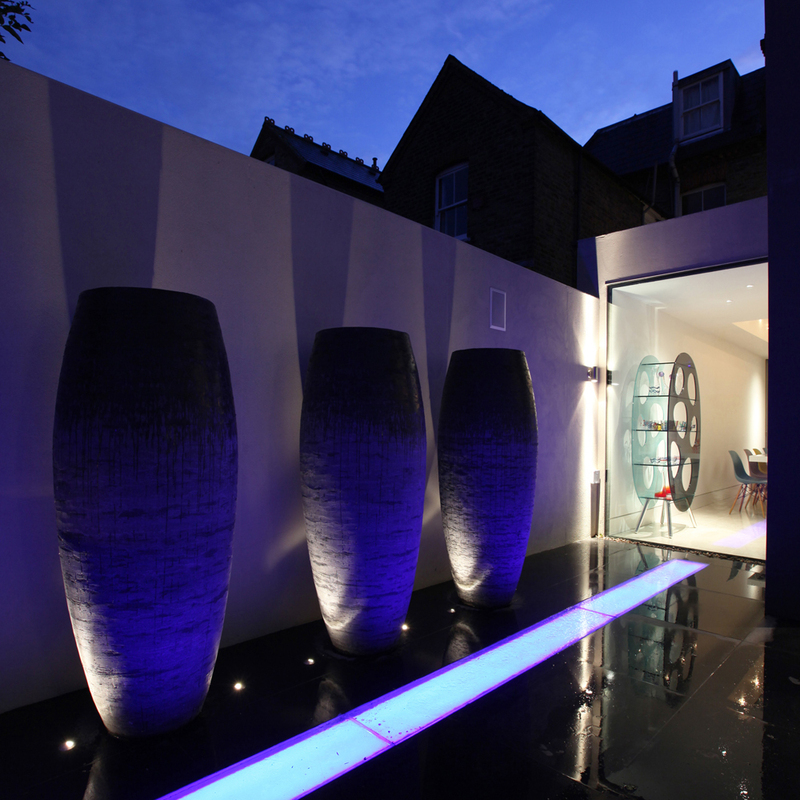 When poker player, Ben Grundy wanted to create a party space in his town house, he bought in the lighting experts to set the scene across his wonderful architecturally designed kitchen and garden. Strong architecture by Thomas de Cruz Architects and a fabulous garden design by Charlotte Rowe were combined with colourful garden lighting by our team to create the ultimate inside/outside party space. Our Design Director said “The garden lighting was layered to produce dynamic effects across the split levels and work with the open plan kitchen. At high level light skims down the wooden terracing whilst accent lighting is added with spiked 1w LED Kew spotlights and Hampton flood lights to planting and to uplight the olive tree. At low level 1w Oslo floor washers create a floating effect under the table and benches. To create the party feel, a panel was back lit with colour changing LED RGB Slinky strip which reflects colour throughout the garden. The water rill was lit from under the stone paving with an LED strip adding drama and interesting reflections. 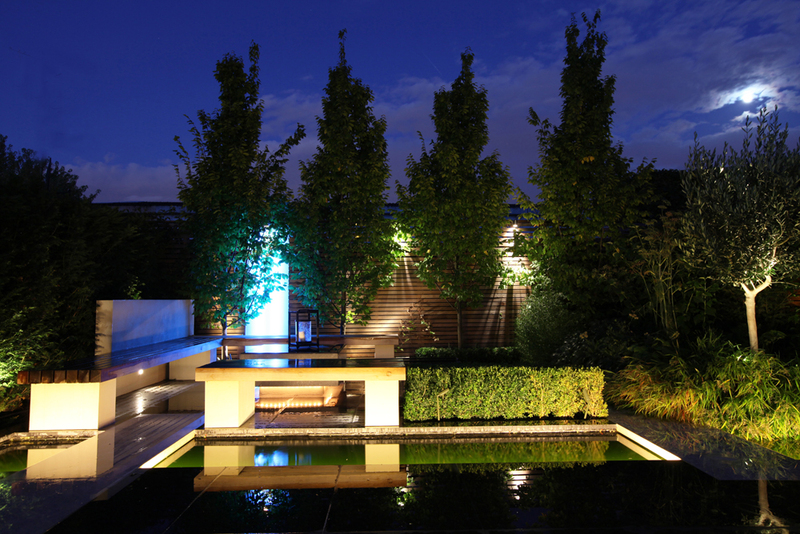 Alternatively visit our Projects pages, for further inspirational garden lighting.